Nieuw huis met 3 slaapkamers in de buurt van Zion Park !! Gasten zullen zeker genieten van een onvergetelijke vakantie in dit volledig gemeubileerde, 3 slaapkamers / 2 bad gloednieuw huis in een rustige onderverdeling. De hoofd / slaapkamer heeft een kingsize bed met inloopkast en flatscreen-tv, de tweede slaapkamer heeft een queen size en de derde is voorzien van stapelbedden, comfortabel om 6 personen te slapen. Buiten patio is goed uitgerust met een aardgas barbecue en patio set. De ruime woonkamer is voorzien van comfortabele banken en een lcd-flatscreen-tv met directe tv met alle sportkanalen en NFL zondagkaartje. De keuken is perfect om te dineren, want het is uitgerust met centrum eiland voor informele zitplaatsen, evenals een eettafel om de hele familie te passen. The house is spacious and easy for cooking. Slept six adult women comfortably, but had to share the king and queen beds. The only complaint is that there was no warning that they don't have a regular coffee pot, but one of those Keurig machines which we were not prepared with the cups to use. The house seems brand new and really comfortable. Close to town to get groceries and gas. DirecTV and comfortable couch made it easy to relax after seeing Zion during the day. The view out of the master bedroom was awesome. Were are pleased that you enjoyed your stay with us. It sounds like everything was to your satisfaction and expectations. We hope you will come back and stay with us again in the future. Have a safe trip home. Great location, very quiet, clean and comfortable. Nicely laid out home and very roomy. We enjoyed staying at this property very much. It was in a good location. Close to Zion National Park and Snow Canyon State Park and many other hiking trails. The house is only a couple years old, very roomy and well equipped. We enjoyed the nicely landscaped private back yard. Beautiful home in a very convenient location! 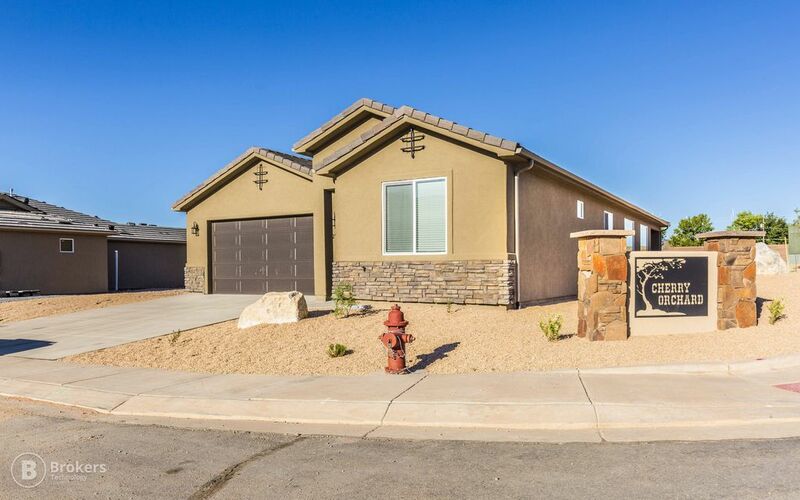 This home Is located a short ways from Zion in a nice quiet neighborhood. The home is new and is beautiful with nice large bedrooms. Was also convenient to have two bathrooms when you have six adults trying to get ready to go hiking each day. Beautiful home and conveniently located. This new home is perfect! The beds are comfy and it’s beautifully decorated. We enjoyed the backyard and patio for our morning coffee! The split floor plan worked great for 2 couples. The master bathroom shower was beautiful. Everything was so clean and plenty of towels and linens were provided. We had a great stay and plan to return.